Submissions that are incomplete or received after the deadline will not be considered. 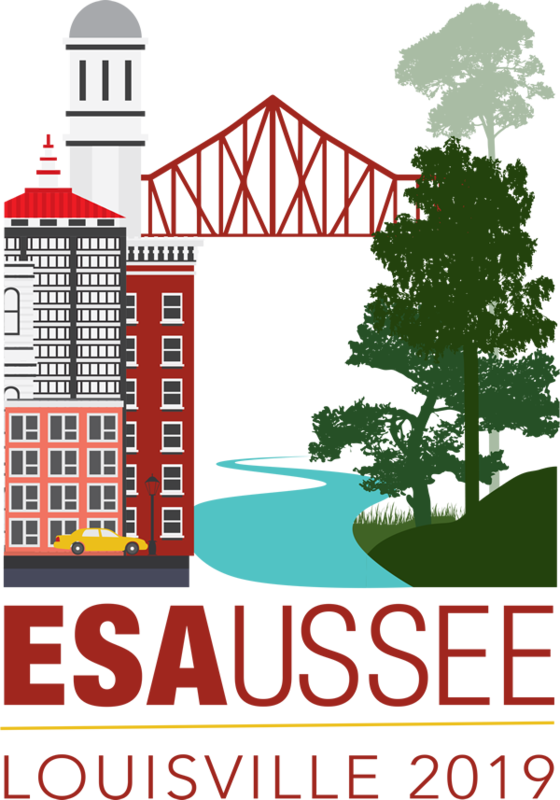 All ESA Annual Meeting proposal and abstract deadlines are 5:00 PM Eastern so that technical support and ESA staff assistance will be immediately available when submitters need it. If you begin your submission very close to the deadline, you are choosing to take a risk and we will not make an exception if you don’t complete your submission in time. 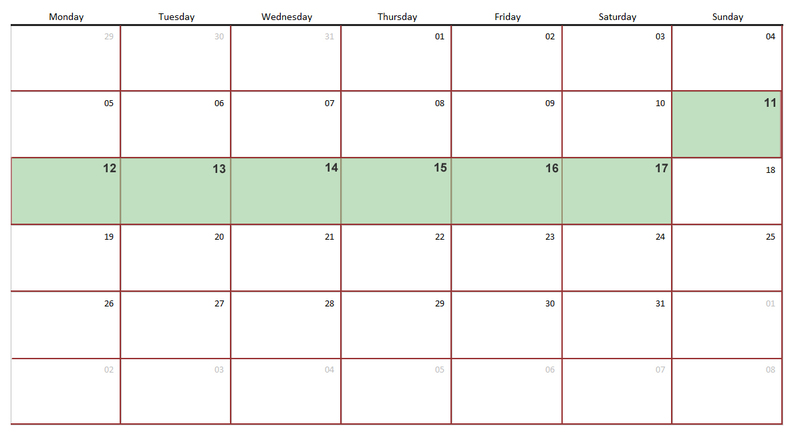 The form automatically closes at 5:00 Eastern / 2:00 Pacific Time whether you have completed your submission or not. ESA meetings, open to ESA members and those interested in ecology, are among the most respected meetings of ecologist in the science community. ESA is committed to providing a safe, productive and welcoming environment for all meeting participants and ESA staff. All participants including, but not limited to, attendees, speakers, volunteers, exhibitors, ESA staff, service providers and others are expected to abide by the ESA Meetings Code of Conduct. This Code of Conduct applies to all ESA meeting-related events including those sponsored by organizations other than ESA but held in conjunction with ESA events, in public or private facilities. In addition, ESA members and authors of ESA publications must adhere to the ESA Scientific Integrity and Professional Ethics Policy. Please read and follow the abstract guidelines carefully. They are provided here as a guide to help you plan in advance. You can start your submission, save your progress, and then return to complete it at any time before the deadline has passed. A login and password will be automatically emailed to you when you begin an abstract submission. You may log in to view your abstract at any time. If this is your first time submitting an abstract for an ESA meeting, we suggest reading some contributed abstracts from a previous meeting. Abstracts from recent meetings are available online (2018, 2017, 2016). If you are a student, we strongly encourage you to work closely with your faculty adviser as you develop your abstract. If you encounter problems during abstract submission, email Jennifer Riem and include the abstract ID number. 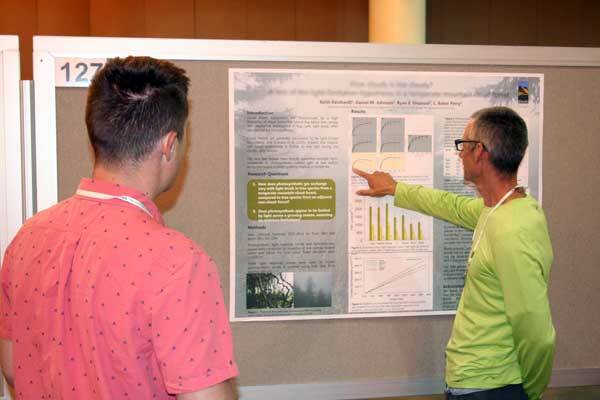 We invite submission of abstracts for latebreaking poster presentations for the 2019 ESA & USSEE Joint Meeting. Abstracts are encouraged to address the meeting theme “Bridging communities and ecosystems: Inclusion as an ecological imperative” if appropriate, but doing so is not necessary. We welcome submissions that report interdisciplinary work, address communication with broad audiences, or explore ways of teaching ecology at any level. Posters presentations are two hours long and give presenters an opportunity for extended discussion and networking. Individually submitted contributed abstracts will be grouped together to create poster sessions organized around a common theme. Abstract authors will rank their preferred session themes as part of the abstract submission process. By submitting an abstract, a presenting author is indicating they will be available during this time slot. The body of the abstract is up to 400 words, split between the two sections (up to 200 words each): Background/Question/Methods, in which the objective of the study is clearly identified and the methods are described; and Results/Conclusions, in which specific results of the study are explicitly reported and their implications for ecology are briefly discussed. Any author can be designated as the presenting author. The presenting author’s name will appear in bold text. The presenting author is the corresponding author who will receive all communications, including acceptance and scheduling notifications, from ESA. In order to receive notifications from us on time, it is important to make sure the correct person is indicated and that their email is entered correctly. The abstract must primarily report on new work within the field of ecology. Reviews of previous work are not permissible for contributed presentations. The abstract must primarily report on new work within the field of ecology or ecological economics. It is understandable that abstracts describing non-traditional, conceptual, or policy work may lack quantitative or qualitative data; however, it is still expected that the abstract will address some question and have a “take-home message” describing specific findings. During abstract submission, you will rank 3 themes to guide the grouping of your presentation into a session with similar presentations. Consider the themes carefully. Latebreaking Poster sessions are Friday morning, 8:30-10:30 AM. By submitting an abstract, you are indicating you will be available during this time slot. May 2, 2019 Abstract submission deadline. May 30, 2019 Notification of acceptance sent to presenting author.